Jooyeon Kong was born in Seoul, Korea where she began playing the violin at the age of seven, studying first with her aunt. She continued violin studies at the Yewon School, the Seoul High School for the Arts, and the preparatory division of the Peabody Institute of Johns Hopkins University. She earned her bachelor’s degree in music performance from the Shepherd School of Music at Rice University where she studied with Kathleen Winkler. Ms. Kong was the winner of the Shepherd School's concert competition during her second year and performed the Tchaikovsky Violin Concerto with the school’s orchestra. In 2005 and 2006, she received a master's degree and Artist Diploma from the Yale School of Music under the tutelage of Peter Oundjian, formerly the first violin of the Tokyo String Quartet and currently the Music Director of the Toronto Symphony Orchestra. 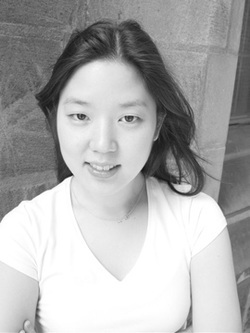 Ms. Kong was awarded “The Yale School of Music Alumni Association Prize” upon graduation. Ms. Kong has performed concerts throughout the United States and Europe at notable music festivals, including the Bellingham Festival of Music, Yellow Barn Festival, Banff Summer Arts Festival, and the Encuentro de Musica y Academia de Santander in Spain. As an avid chamber musician, she has collaborated with the world's leading concert artists, including Boris Berman, Vivian Weilerstein, and Franz Helmerson. She has served as a Concertmaster of both the Yale Philharmonia under Sir Neville Marriner and of the New Music New Haven Orchestra alongside Andy Summers, lead guitarist of the Police, on Ingram Marshall's guitar concerto Dark Florescence. She is a founding member of the Hindemith Ensemble at Yale and toured with them throughout Germany during the summer of 2006. She has been a member of New Haven Symphony Orchestra, and is currently a regular member of the St. Louis Symphony under the baton of David Robertson.